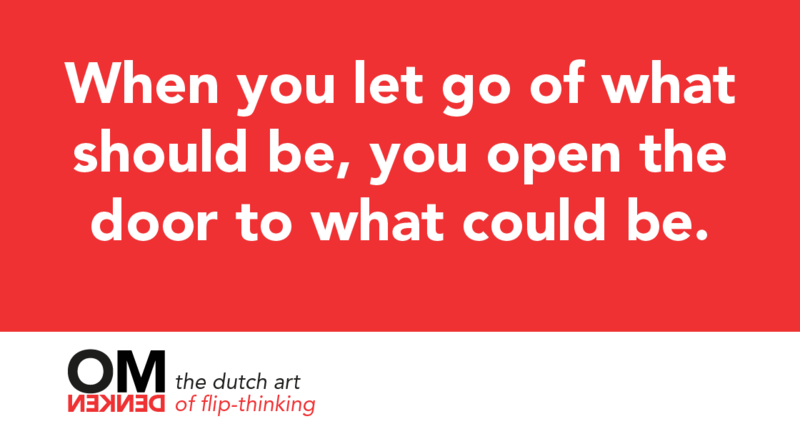 “Omdenken” – The Dutch Art of Flip-Thinking, is transforming problems into opportunities. With this way of thinking you look at reality the way it is, and you focus on what you can do with it. You use the problem’s energy to create something new. 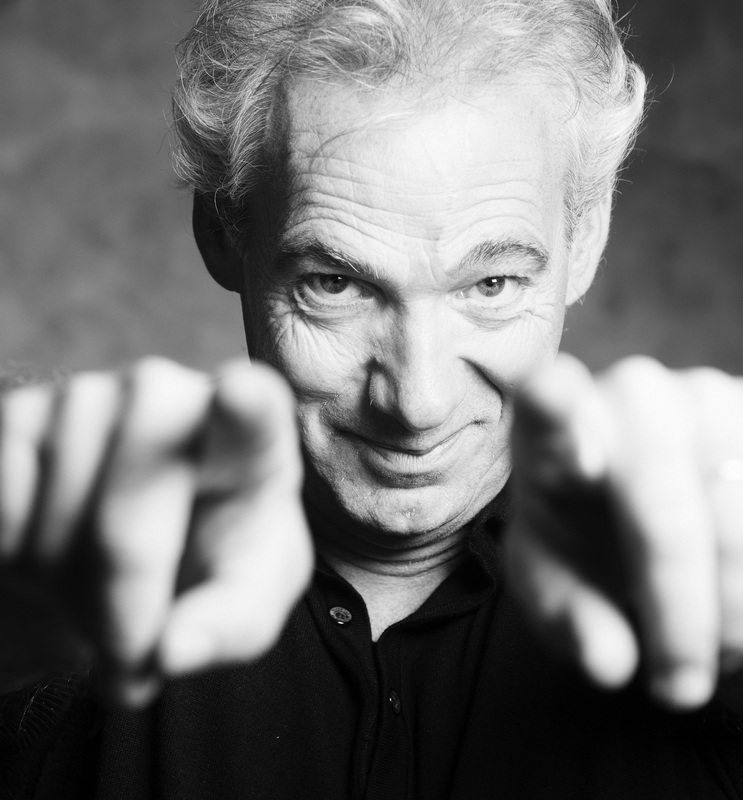 The founder of Omdenken is Berthold Gunster, best-selling author of ‘Yes-but® what if it all works out’, among others. The first step is turning a problem into a fact. Making the step from YES-BUT (it isn’t the way it should be and that’s a problem) to YES-AND (it is what it is). Then you look for new opportunities that arise after you completely accepting the facts, saying ‘yes’ to reality. Deconstructing is turning the problem into a fact. You take a problem, remove ‘what should be’ and you’re left with ‘what is’. Constructing is transforming existing facts into a new opportunity. You start with a fact, and see what you can do with it. In the bestseller Huh?! – the Dutch Art of Flip-Thinking, we show you what flip-thinking means and how to use it. Read it, be inspired, surprised, and most of all creatively stimulated. Click here to order. The theoreticians among you might like to know that we discern 15 strategies that can be used to flip-think a problem into an opportunity. They are divided into four basic attitudes: love, work, battle, and play. To see the world from one basic attitude would be naive. Sometimes optimism is needed, at other times perseverance, creativity or patience is required. For each situation you would like to use flip-thinking, always question whether the situation requires love and attention or whether it is more realistic to acknowledge that there is a battle to face. Or possibly a disruptive, playful approach would work perfect. Intuitively we all know which basic attitude is best. We tell ourselves to “just hold on”, “don’t do anything for now” or that it is “time for action”. Dare to trust your feelings. Omdenken is a combination of logic and intuition. When you have determined which basic attitude fits best, you can choose the most effective strategy. Berthold Gunster is the founder of ‘Omdenken’ – The Dutch Art of Flip-Thinking. With his organisation he performs training sessions, seminars and workshops for companies and individuals. Berthold Gunster has written many bestsellers about his ideas. More and more people and companies are learning how to move from a yes-but way of life to a yes-and way of life. Do you want to learn how to use flip-thinking? People who continually respond to life by saying ‘yes-but’ don’t just kill every good idea, they ruin complete companies, and can even bring down entire industries. Yes-but that’s not how it works. Yes-but we can’t afford it. Yes-but what if we get it wrong! Yes-but people have all the answers. They can only see clouds on the horizon. When you find yourself in a group of people, take a good look around. Who are the yes-but people and who are the yes-and people? Let’s do everything we can to preserve the yes-and people. They dare to dream big. They take action. They reach the unreachable, time after time. Yes, and how can we make sure that it works? Yes, and what can we invest? Yes, and what if everything works out? Yes-and people ask the questions. They see the clouds AND the horizon.